Jumping Rope For Fat Loss? Because so many people feel that cardio is boring, I decided to give my readers a bonus, sharing some of my secret ways to make cardio fun and exciting! As a result, I have given 6 unique ways to perform cardio that you may have not realized!! Though for some odd reason hardly anybody uses a jump rope for aerobic exercises, I feel that jumping rope is a great way to getting a great cardiovascular exercise workout while enjoying it. In addition, jumping rope can not only help with cardiovascular health, but it also helps to improve coordination and agility. If this exercise is performed frequently, it can also help with muscular endurance. Besides, how many times have you not gone to the gym or performed a morning walk due to bad weather conditions that cannot be controlled? Jumping rope could have been a great alternative in this scenario. 1. Jump ropes are inexpensive. You can purchase a good quality jump rope for about $20. 2. Jump ropes are great if you travel and do not have access to a gym. 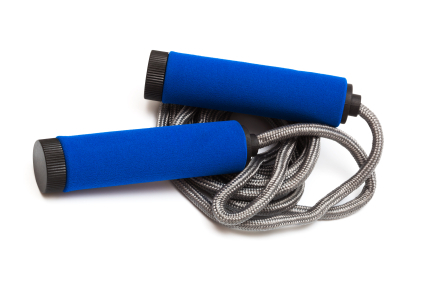 You can carry a jump rope with you just about anywhere since they are so small in size. 3. Not only can you use a jump rope in a gym, but you can also jump rope indoors, as long as you have enough space to perform a full motion. You can also jump rope outside and at the office on a lunch break. 4. Jumping rope serves as a nice change for those who have gotten tired of performing the same cardiovascular exercises day in and day out. 5. Jumping rope is a great way to burn calories. If you were to jump rope for an hour, depending on your metabolism you could burn up to 1000 calories. 6. Helps to strengthen your entire body. Yes, that is right. Most of the major muscle groups in the upper and lower body will strengthen by jumping rope if performed on a consistent basis. Hold the handles of the rope in each hand and place your feet in the middle of the rope as it is touching the ground. If the handles are just below your armpits, then you have a good rope. 1. Always wear comfortable shoes. This way you decrease the chances of an ankle injury occurring. Also, a good pair of shoes prevents your joints and feet from wearing and tearing. 2. A great warm-up that prevents injury is to perform jumping jacks and stretch. Jumping jacks will help your body to get in the motions that you will be performing while jumping rope. Jumping rope is an exercise that is not easy to perform, especially if you are a beginner. It requires a lot of coordination and agility to jump rope for a period of time. Below I have three phases in which you can attempt to jump rope. These phases are the beginning, intermediate and advanced stage. This stage is the most important and difficult one to go through but you must persevere. When I first started jump roping, it took a lot of patience to get used to the motions. Jumping rope is far more complex than hopping on a bicycle or a treadmill. • Step 1: Start out by holding the handles in each hand and have the rope touching the back of your heels on the ground. • Step 2: Attempt to complete a few full motion revolutions. Practice these steps for about 5 minutes as at that time you will start to feel comfortable with what you are doing. At this stage I would just perform 5 minutes of jumping rope 3 days a week. Do not exceed 5 minutes a day as you may be sore for the first couple of times you perform this exercise. After four weeks or so you should feel comfortable with the beginners stage, have improved your agility, muscle coordination and endurance. Now you can attempt to jump rope 10 minutes a day, 3-5 days a week. This may seem too easy, but jumping rope can be a rigorous activity which requires a lot of practice. After the intermediate stage has been completed (which should last around 4-6 weeks), you can crank things up a bit more and jump rope for 20-30 minutes, 3-5 times a week. If you can make it to this stage, you will be in top notch shape and reap the health benefits that go along with this difficult endeavor. 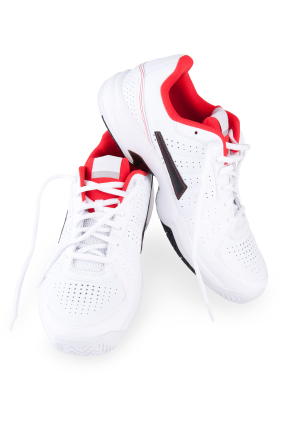 A great alternative that can be performed practically anywhere is walking. This can be performed in a neighborhood, malls and just about any location you choose. I do understand that it is hard for some to get a workout in on some days due to a busy schedule but there is little room for excuses to not perform this exercise. 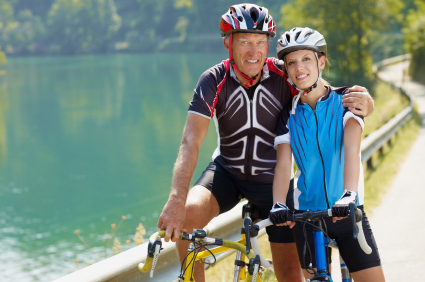 As many of you may already know, performing cardiovascular exercise on a bicycle can give you a great workout. Not only are you burning off calories, but your legs are getting a workout, which makes this an effective alternative to a treadmill. You can even change this up and go mountain biking if there is a location near you. I know some of my friends go mountain biking and say it is great to see the scenery instead of doing biking on a stationary bike. The stair master is something I do on occasions for cardiovascular exercise. I do not like to do this for more than 10-15 minutes as it involves using a lot of leg strength to perform such activities. I tend to do this no more than twice a week but it can be performed up to 4 times a week if you would like to change things up like that. 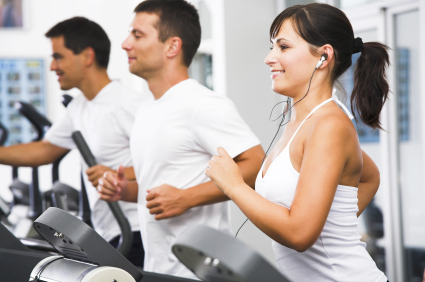 As most of us know by now, using a treadmill is one, if not the most popular way to get a good session of cardiovascular exercise in. Some variety you can add to this exercise, other than adjusting the speed of how fast you go, is to elevate the treadmill. This is a great way to tone up your legs, further challenge your cardiovascular capacity, and not get bored of the same old thing. An exercise that has been around for several years is jumping jacks. I used to love doing these when I did not have access to a gym. They are similar to walking as they can be performed practically anywhere. What I like about jumping jacks is how they can be performed in one location and even in a bed room as it does not require a lot of space. You can start out doing 3 sets of 20-25 to get used to the momentum and proper form and slowly increase the sets and repetitions once your body has become used to this exercise. ← Are There Rules to Doing Cardio?